Our teacher Mrs Lewis told us we were going to skip. If you exercise skip, run or doing fast exercise your pulse in your neck and your wrist beats fast. When your pulse beats really fast you are doing exercise. The reason we do exercise is to keep fit. Then we had to skip. The first round I skipped my pulse beat was 56 then you had to double it so then it was 132. The teacher said to go really slow then my pulse was under 100. Exercise keeps you fit. My class and me had to skip non stop for 1 minute. When you skip slow your pulse slows down. When your pulse beats its called a heart rate. Short term affects are being tired, hot, sweaty, heart rate increases. Long term affects are getting better at skipping , fitter, healthier, faster at skipping, stronger. After a round of skipping we had to put our hand on our wrist or neck to count our pulse beats per minute. In our skipping lesson we had to find a math partner to double the number. It was really fun. First when we got down stairs in the playground before we done our exercise we had to find our pulse. Even the teachers joined in for a little while. 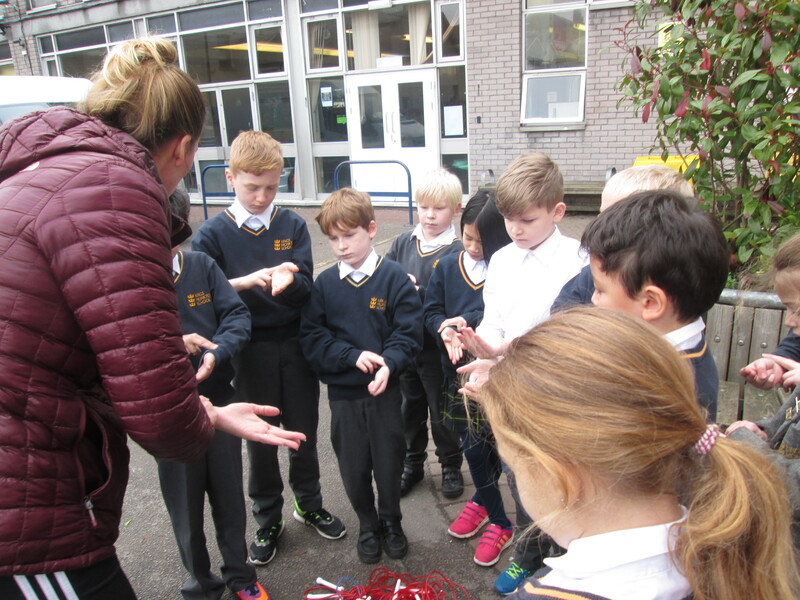 Then we had to fold and knot the skipping ropes.